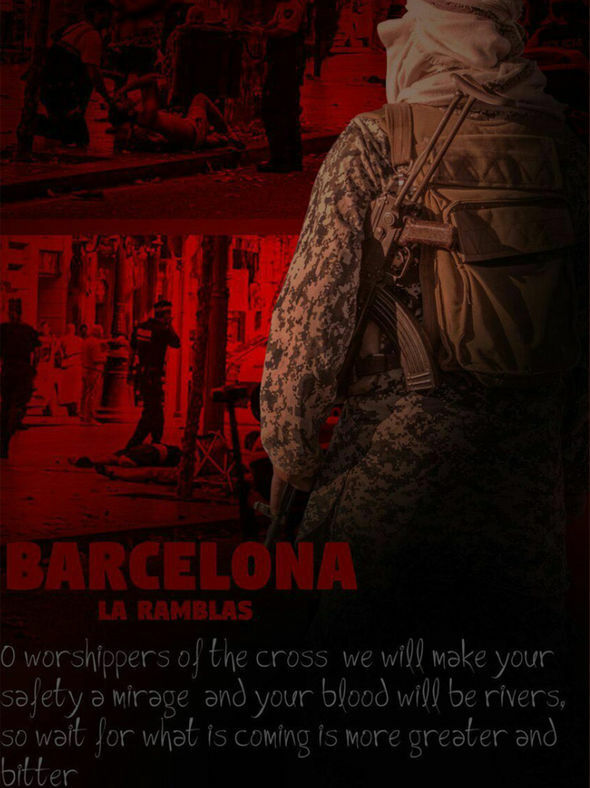 BARCELONA’S terror death toll could have been much higher along Las Ramblas - had the ISIS terror cell's plan A worked out, it has been revealed. The driver of a truck slammed into shoppers in the tourists hotspot - killing 13 and hurting 130. 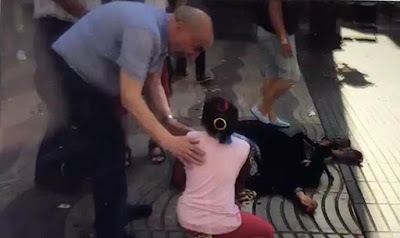 Eight hours later, 68 miles away, a car attack in Cambrils left one woman dead and six injured. Police then shot dead five jihadis. 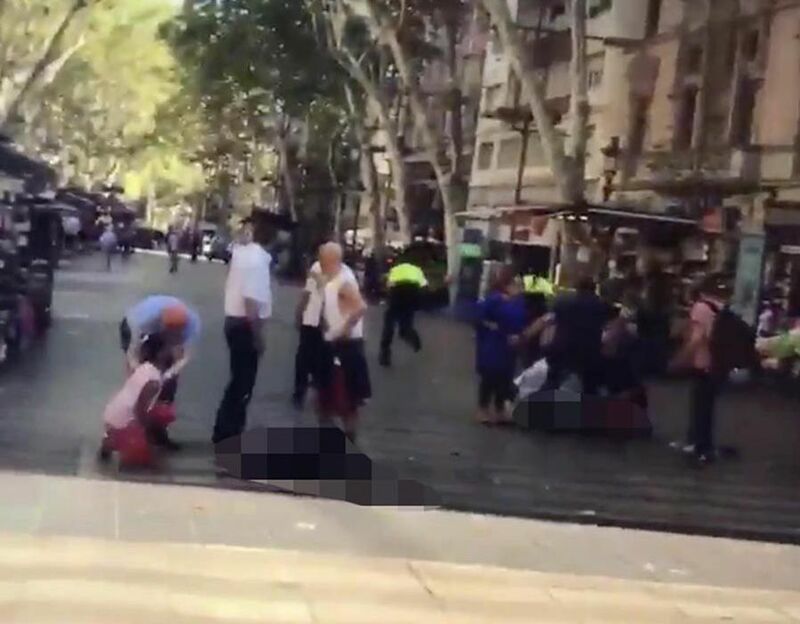 Investigators told journalists, on the condition of anonymity, the terror cell behind the horror attack carried out their plan after a number of complications. The depraved Daesh fanboys allegedly tried to rent a massive lorry - but did not have the correct licence. 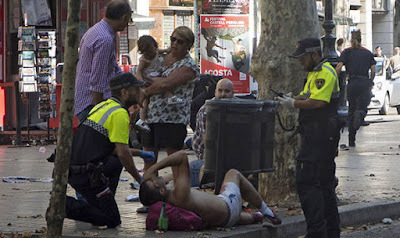 And, a house in Alcanar which was razed to the ground in an explosion the night before the Barcelona attack, was destroyed as the group tried to load explosives into a van. In the end, they carried out plan C - a small van ramming into crowds, without bombs and HGVs. New York Times journalist Rukmini Callimachi‏ revealed the three plan plot twist. She said on Twitter: “According to my source, police learned from rental car company that attackers had tried to rent a large truck. “Investigators believe the attackers had a Plan A, a plan B and a Plan C.
“Plan A was to load the large truck with explosives & ram it causing a catastrophic explosion. That failed (because) they couldn't rent big truck. ISIS had previously pleaded with its followers to carry out vehicle attacks. Amaq, the terrorists media centre, supposedly based in besieged Raqqa, has been spewing out propaganda asking “lone wolves” to seek vengeance for air strikes on terrorists. But Spain ruled out air strikes on Syria in 2015. Police are seeking Moussa Oukabir, thought to be 17, and three others. Moroccan-born Said Aallaa, 18, Mohamed Hychami, 24, and Younes Abouyaaqoub, 22 are being hunted. The driver managed to escape in the chaos after the carnage in the Catalan capital.